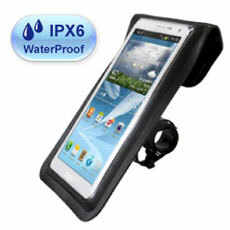 Digidock waterproof universal Motorbike cradle for smartphones lets you hold the smartphone on Motorbike handle bars. 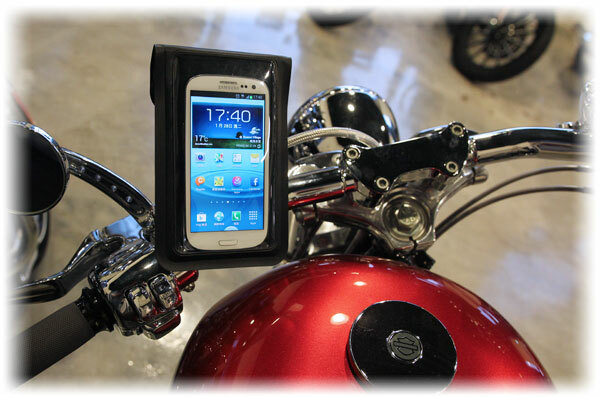 The Motorbike mount MT-1101BG-B05 consists of a waterproof pouch with transparent touchable protection and a releasing cable tie mount. The rider can operate GPS and an appropriate app, and answer all import phone calls directly on transparency window of pouch while riding. 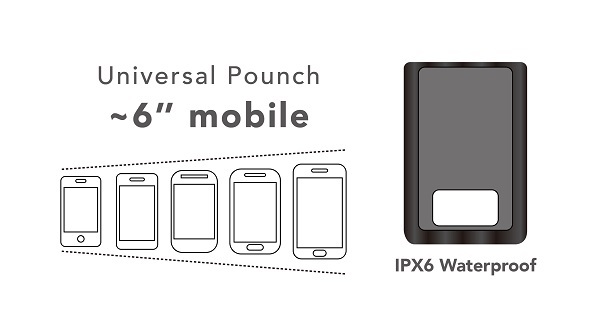 Ideal 360° swiveling design allows riders use smartphone in portrait or landscape position. entertainment with smartphone on the road.